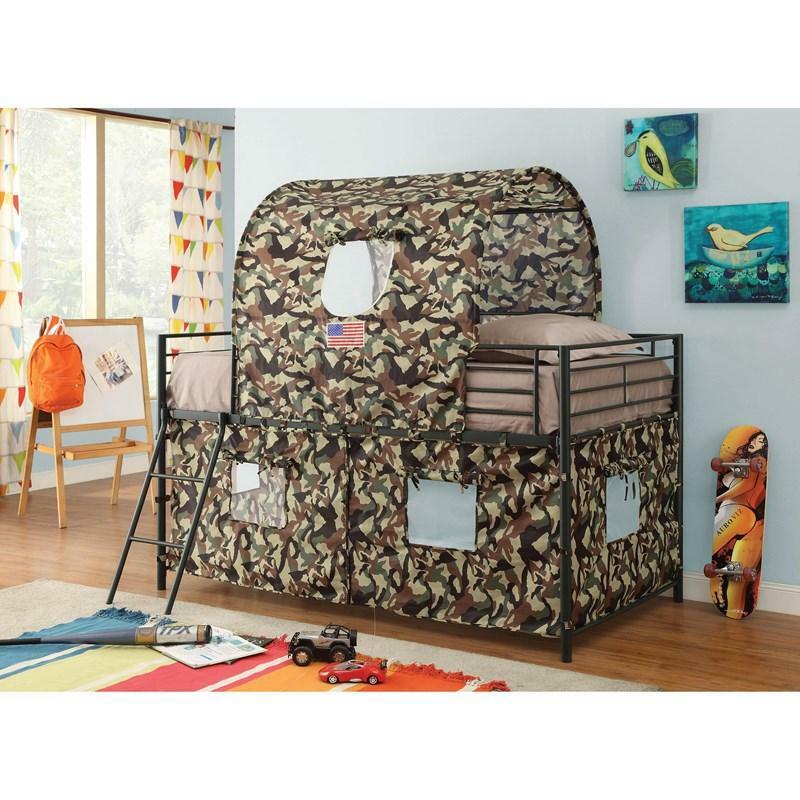 Coaster Furniture Kids Beds Camouflage 460331 Loft Tent Bed (Loft Bed) from Trends Furniture, Inc. 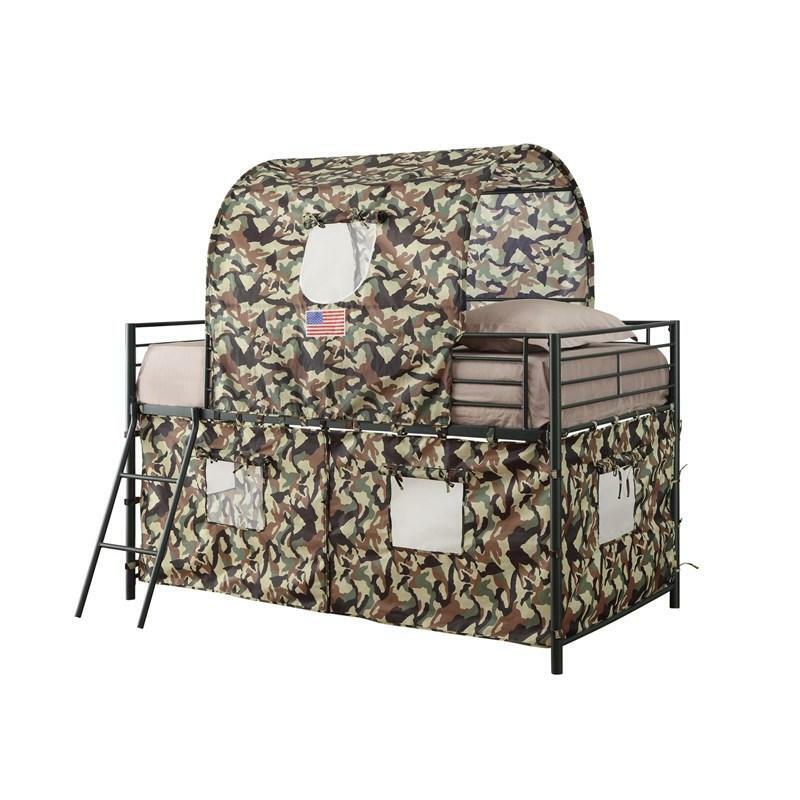 This Camouflage Loft Tent Bed by Coaster Furniture features a great space for your kids to dream and play, this loft bed comes with a tent-like on top of the bed and ladder to access to it while at the bottom it resembles a real military tent with ample space to play. 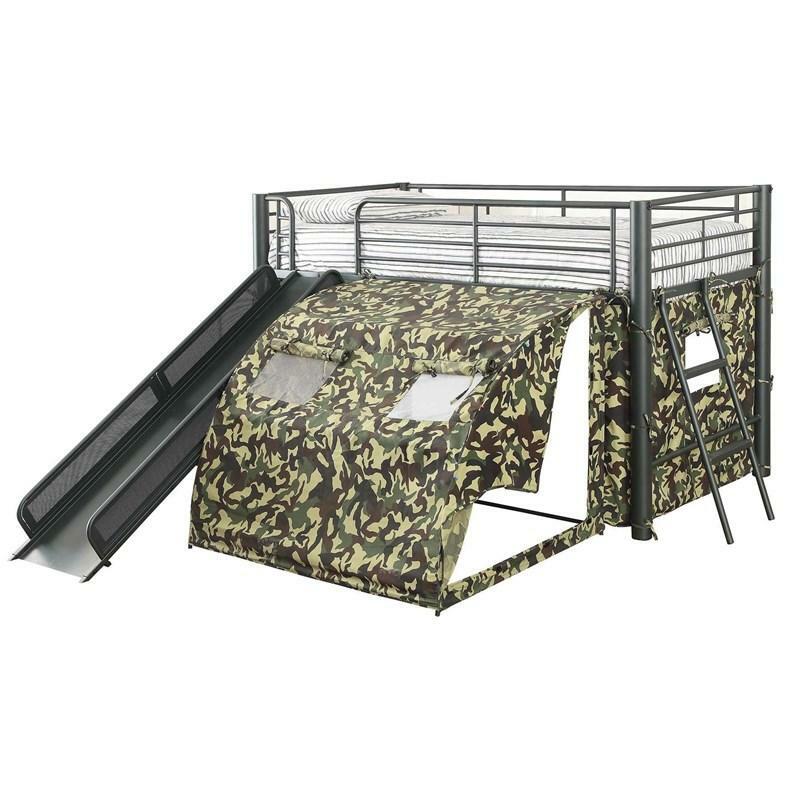 It comes in a glossy green frame.